The history of the bible and religion is indeed the struggle of good vs. evil. 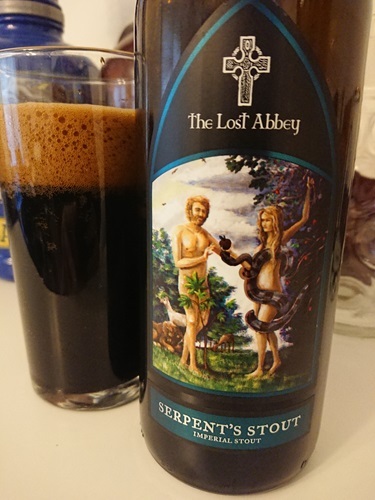 Our Serpent’s Stout recognizes the evil of the dark side that we all struggle with. This is a massively thick and opaque beer that begs the saints to join the sinners in their path to a black existence.